Posted by Xenor Vernix on Jan 14, 2019 - 20:04. 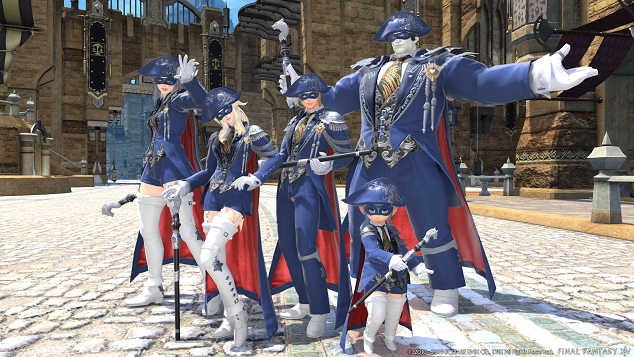 FFXIV's first limited job, blue mage is releasing tomorrow! As a big fan of FF5, the first FINAL FANTASY series that introduced the blue mage, when I heard blue mage I jumped up in joy! I'm here today to give a quick recap on all the information we have released thus far so you can "learn" and prepare for tomorrow! 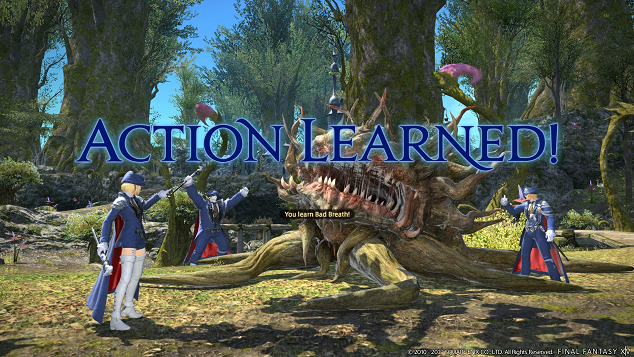 First and foremost, blue mage's main feature is the ability to learn and mimic actions from enemies. In order to learn, one must first witness the enemy perform a specific attack. Once you have witnessed the action, you have a chance of acquiring the ability once the enemy has been defeated. As long as you meet the requirement, you can learn blue magic spells. However, we recommend not going after monsters with too high of a level, as you may end up being KO'd before you can learn anything! As you can see in this image, they have learned a spell from a Morbol... probably smells bad. If you'd like to collect blue magic spells quickly, and by that I mean increase the chance of learning by being able to take down enemies faster (maybe?) I recommend playing with other fellow would be blue mages! Maybe form a group and call it the blues brothers and sisters. There are total of 49 blue magic spells available, with more to come in future updates. You'll need to figure out what you can learn, and where you can learn them based on the hints provided in your Blue Magic Spellbook. And if you're familiar with the blue mage from previous FINAL FANTASY games, you may remember a spell or two, which might give you a good idea of what monsters to hunt down. There are many spells that aren't just for attacking, and combining these spells could provide ways to maximize your effects. Be sure to read the details of the spell, try it out, and figure out ways to make good use of them! Next up is the Masked Carnivale! 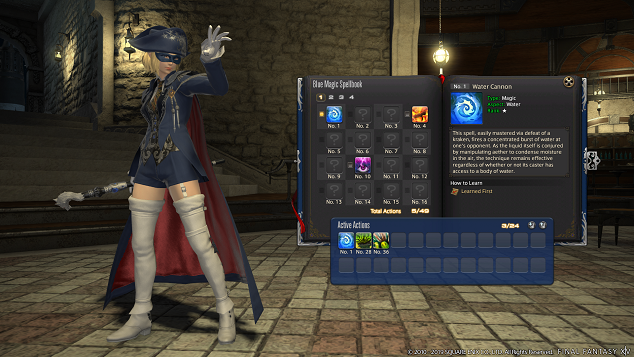 For those of you who want to test the limits of your blue magic, we have the Masked Carnivale, a duty exclusive to blue mages. Here you're tasked to complete various stages prepared for you using the blue magic spells you have learned. Some of these stages are comprised of several acts, or simply put, phases. You cannot change your spells while engaged in a stage, so be sure to look over the details provided to you and think carefully on what spells you would want to set before jumping in. Yoshi-P specifically mentioned this one can be challenging. 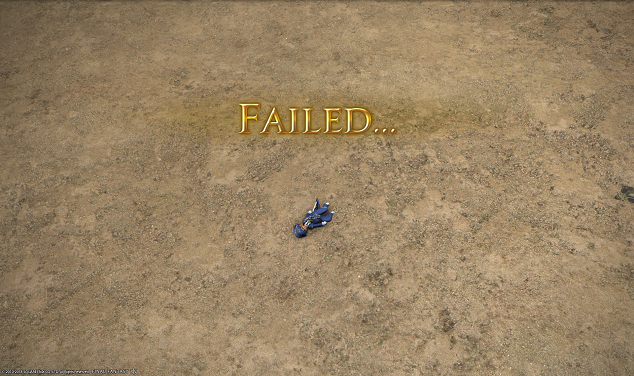 But for a seasoned blue mage as myself, this is nothing! I have come prepared with really strong blue mage spells! Wait! Stop! Something ain't right! FAILED... How, how did I end up being KO'd!? Once again, be sure to read over the details provided to you and make sure you strategize your attack or you'll end up like me here lying on the floor. 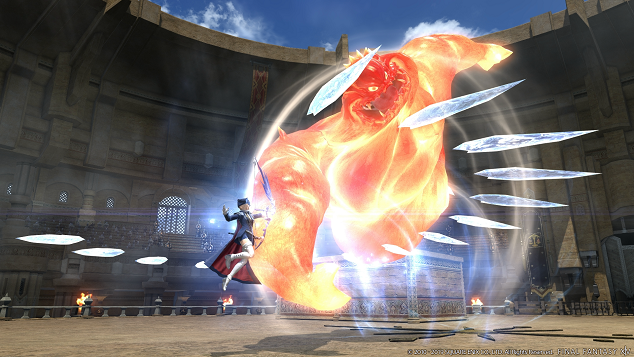 Blue mage is classified as a Discipline of Magic, so you'll be able to equip equipment and role actions for ranged magic DPS. 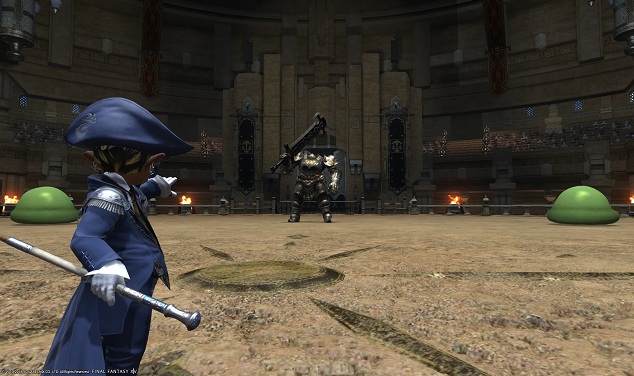 However, unlike other jobs, a blue mage's weapons do not have any main attributes that enhance their base stats. Instead blue mages will be able to output higher magic damage than other jobs by stacking up on intelligence points, so it'll be important to prepare your gear and accessories with this in mind. Blue mage is a very strong, fun job to play with various effects available that can only be achieved with blue magic spells. 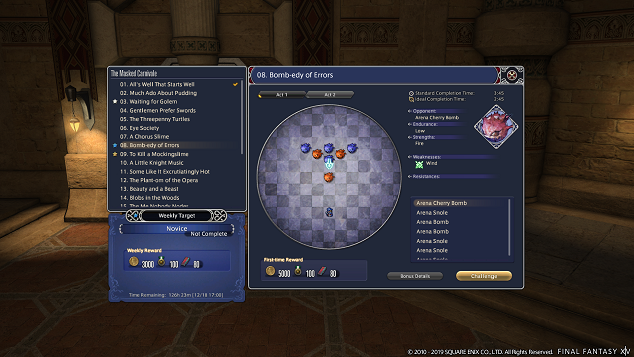 While blue mage cannot be use the matching system to match with other players, it's still possible to do certain content with pre-made parties. Jump in with a party full of blue mages to see what happens! 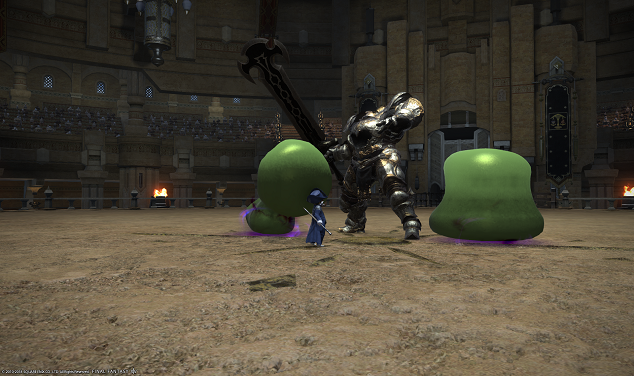 When we tried blue mage in the testing environment, there were moments where even we were challenged, asking ourselves "Wait... can we learn this by fighting this monster? Or does that spell come from that one...". Testing out each newly acquired spell was indeed a lot of fun. ! If you haven't seen the last Letter from the Producer Live, Yoshi-P was spitting out fishes like crazy! So be sure to check that out while you wait. Blue mage is set to release tomorrow, January 15th. There's no maintenance before the release this time, so be sure to keep an eye out on when it goes live! Good luck and see you in-game dressed in blue!